Abstract. Progression in sustainable sports practices is an up-and-coming area of research that also has an overarching impact on other professional fields. Analyzing the latest trends and methods in this niche area allows for further advancements in the field of sustainability. 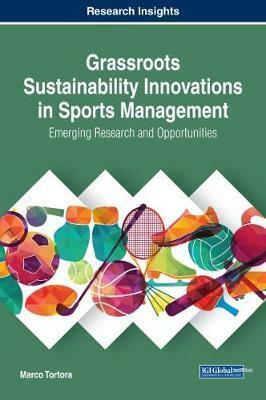 Grassroots Sustainability Innovations in Sports Management: Emerging Research and Opportunities is a crucial resource that offers an in-depth discussion on growth in the sports sector and how incorporating sustainable practices in this field’s rising trajectory can further enhance its impact. Highlighting pertinent topics including innovation dynamics, management studies, corporate social responsibility, and systemic change, this publication is ideal for academicians, students, and researchers that are interested in expanding their knowledge of intertwining sustainable actions with sports administration.